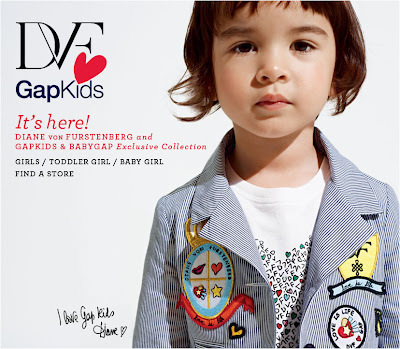 Just in time for spring and summer seasons, the second collaboration between Gap Kids and iconic designer Diane von Furstenberg hit stores on April 25. The line inspired by an African safari features bright patterns and comfortable t-shirts, tunics, leggings, skinny jeans and of course wrap dresses. Perfect for playground rendezvous, special events or school von Furstenberg describes the versatility of the apparel. “This time it is all about adventure, with the same attention to color and print, I think the result is playful and perfect for the little explorers of the world.” The grandmother of four, incorporated her signature bold prints in this collection, which fits sizes for newborns to sized 14. This entry was posted in Boys Fashion, Celebrity, girl fashion, style and tagged african, Baby Gap, Dian von Furstenberg, DVF, explorers, Gap, gap kids, kids fashion, safari, style. Bookmark the permalink.